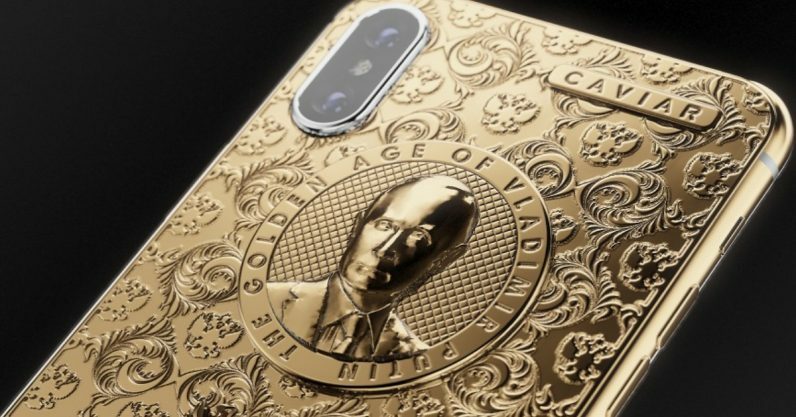 For the rest of us: The company that brought you the $3,200 iPhone 6s with Putin’s face engraved in gold is back again, and it’s somehow managed to make a custom Apple product even more garish and ludicrous than before. The phone costs — are you sitting down? — about $4,700 for a 64 GB model. If that’s not rich enough for your blood, you can get a 256 GB model for a cool $5,000. The phone comes in a case lined with black velvet, accompanied by a charger and a pair of earbuds.